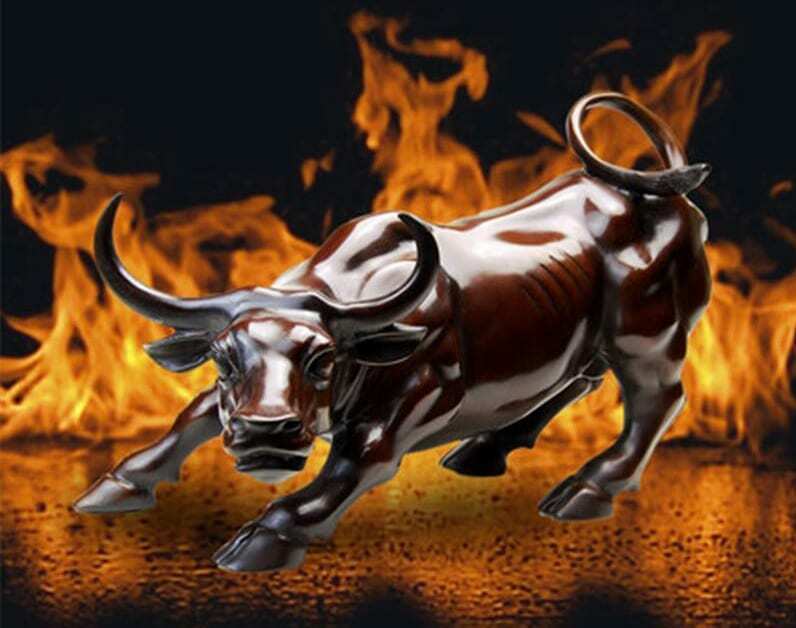 Stock market Bull 2018 Doldrums; is the bear ready To Growl in 2018? 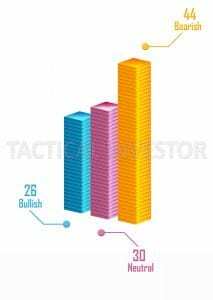 Blog Stock market Bull 2018 Doldrums; is the bear ready To Growl in 2018? Have you ever noticed how there is always a crisis around the corner? If it is not this, it is that. For example, if it were not for the illegal immigration problem that is being highlighted in Europe and America, there would be some other issue. We are not making light of the matter, but merely highlighting the fact that the media and the governments always seem to find a crisis to promote. What is left out is that the governments are the ones that fostered the crises they are now promoting. According to the Institute of International Finance (IIF), Global debt at the end of 2017 stood at $233 trillion; let that sink in for that debt is several magnitudes bigger than the combined GDP of all the nations on this planet. So what’s another trillion here or there; this debt will never be paid off. The only way to fix this would be for the entire system to collapse, but the end result would make the great depression look like a fairy tale. The system will only collapse when the masses lose faith in Fiat and given the current trend the masses are not even close to this stage. If we had to take an educated guess, we would state that maybe when the global debt approaches a $1000 trillion the masses might be ready to challenge the system with strong emphasis on the word might. This is another affirmation of why all market crashes should be viewed as long-term buying opportunities. However, this week the outlook is changing. Bullish readings experienced a massive reversal, and on the surface, it appears that everything is normal, but if you take a closer look you will notice two things stand out. One the number of individuals in the neutral camp experienced a huge surge, and there are more individuals in this camp than in either of the other two camps. Secondly, the anxiety index is not trending in unison with market sentiment, typically such a significant drop in bullish sentiment would have pushed the gauge to the Panic zone. This development indicates that the markets are also entering a state of polarisation or disarray. If this is a one-time development, we can ignore it, if it is a new trend, then we will pay more attention to the individuals in the neutral camp and the anxiety index. So while the bulls and the bears are being whipped the Neutral camp is holding steady; these readings match those of the Aug 23 update. Remember that neutrals are nothing but bears with no teeth and bulls with no B***S; in other words, they do not know which direction to run. My, my what a big difference one week can make; first, the crowd was happy now it’s in panic mode and everything we stated in advance is coming to pass. This excerpt that was sent out to our paid subscribers on the 15th of October illustrates this point quite succinctly. Downside volume surged, but that data has lost its value over the years especially post 2008. 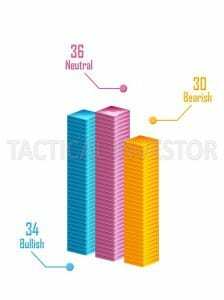 The most significant development this week is that bullish sentiment dropped down to 29; to put this into perspective remember that last week bullish sentiment came in at 47. This is a massive drop and well below the historical average. Such a massive drop in sentiment indicates that no matter how sharply this market pulls back it should be viewed as a bullish development. The combined score of the bears and neutrals now stands at 71%. 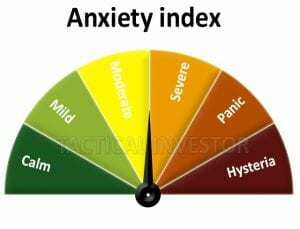 The anxiety index has also experienced a new sharp swing, clearly indicating that the crowd is now in a precarious state; no bull market has ever ended on a sour note, and we do not think this is going to be the start of a new trend. Dow Utilities Painting Bullish Picture? The picture emerging from the Dow utilities is very bullish, and it almost ensures that the Dow is going to be trading close at or above 27K within six months or less. Now you can worry and join the experts that are predicting an end to this bull and in doing so follow the same pattern of leaping before looking. Keep a journal for this trading journal will prove to be far more valuable than any other lesson you will ever learn when it comes to the market. We have been through these shakeouts before, the weak hands always fold and then when the markets bottom out they scream with anger promising never to repeat the same mistake but end up doing precisely the same thing they did before. Right now the logical thing to do based on the many articles being penned by so-called experts is to panic. Stop and take a deep breath. Is panic not the most comfortable option on the table? When it comes to the markets, the easiest option is almost always the wrong option. The contrarian play utilising the concepts of mass psychology is to jump up in joy when others panic and vice versa. So, even though it is the hardest thing to do right now, relax and observe (keep notes too); you will be surprised at what you will discover. So if you are in panic mode; ask yourself why? Have the markets not pulled back strongly before? How did you react back then; are you reacting the same way now? What’s the definition of insanity? Doing the same thing over and over again and hoping for a new outcome. Were you looking to buy quality stocks at a lower price? If the answer is yes, then what changed?